For most of the country snowflakes will soon be falling. Sometimes I dream of having a white Christmas, unfortunately here in Arizona that’s not going to happen. So what’s a girl to do when all she wants to see is snowflakes for Christmas? 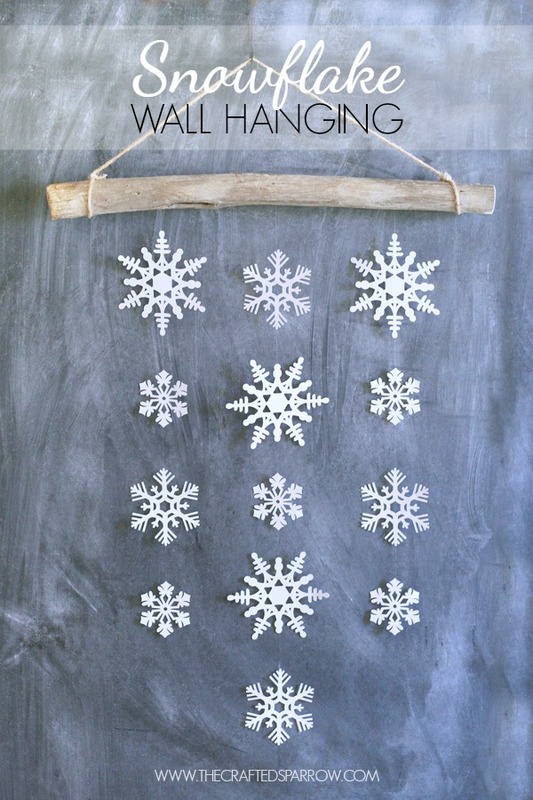 Making this Snowflake Wall Hanging might help. Granted they aren’t the real things, but none the less they are still pretty. 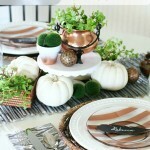 Today is also our monthly blog hop, 10 bloggers on the 10th of each month. This months theme is Snowflakes if you hadn’t already guessed. 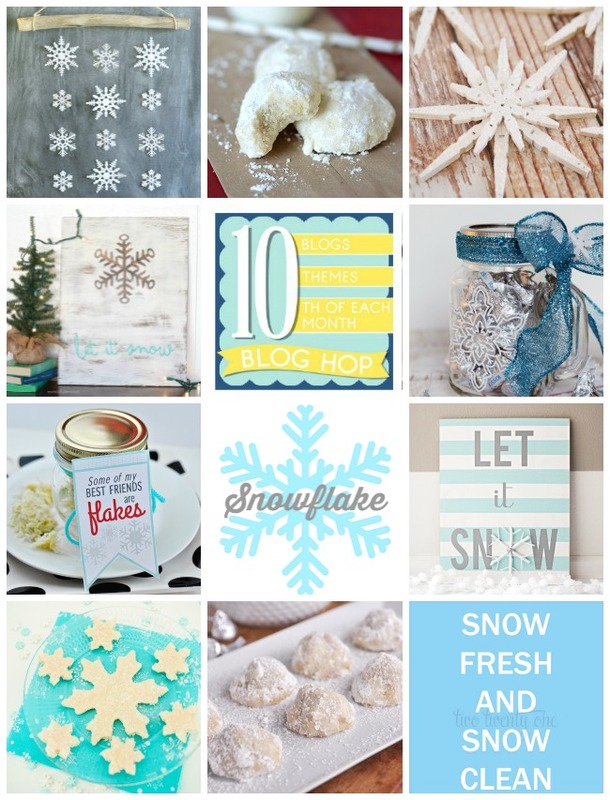 Be sure to check out all the other great Snowflake ideas and recipes below. 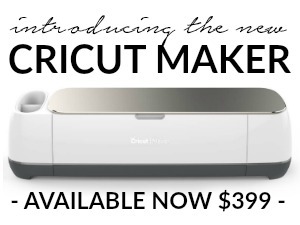 I love using my Cricut Explore whenever I get the chance, it made this simple project so easy. 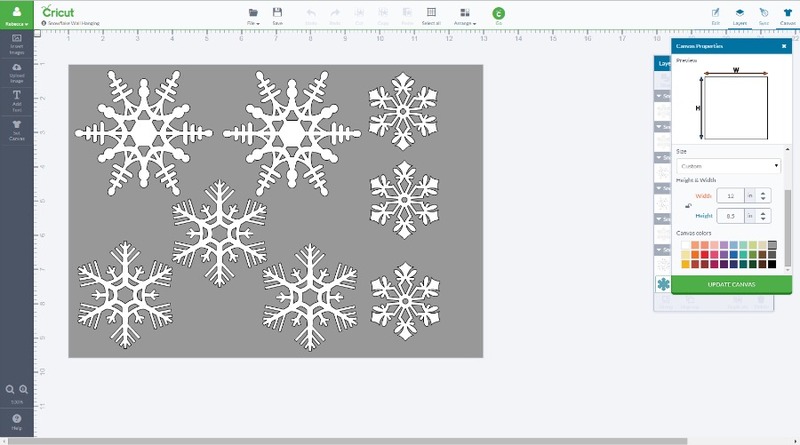 I used some snowflake images I found in Cricut Design Space, made them the sizes I needed and cut them out on white cardstock. 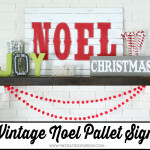 You could use glittered cardstock, or even velum for this project. Once all my snowflakes were cut I placed my snowflakes in the pattern I wanted them to hang. 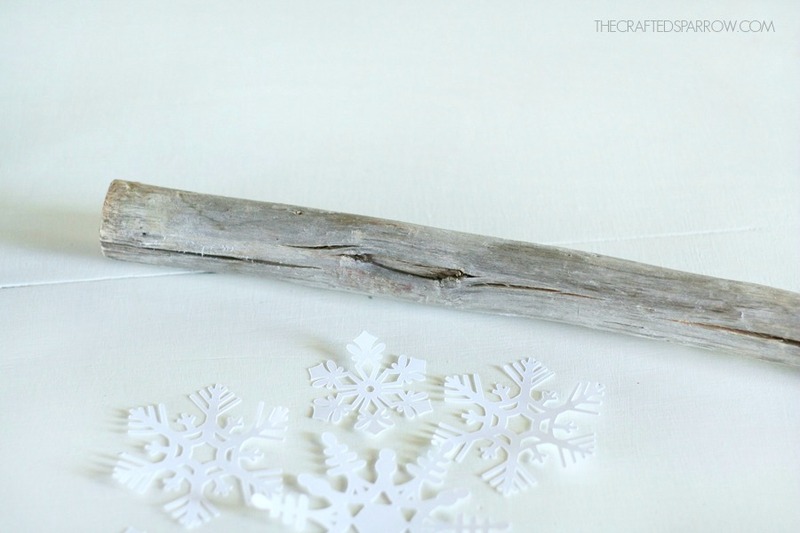 I already had a great large branch for hanging my snowflakes from. You can use a dowel, tree branch, even a vintage wood hanger to hang the snowflakes. I used invisible thread because that’s what I had on hand, but if you have a choice I say go with the fishing line – it’s a little sturdier. Just place a small bead of hot glue at the tops and bottoms of each snowflake and along a long piece of fishing line or invisible thread. Hot glue the end of the fishing line to the branch or piece of wood you are using, spacing them equally. To finish it I just tied a simple piece of jute twine to create a hanger for it. Use what you’d like…leather lacing, twine, jute, yarn, it’s totally up to you. 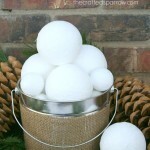 This project should be almost free to make, I bet you have most of the supplies on hand to make it. 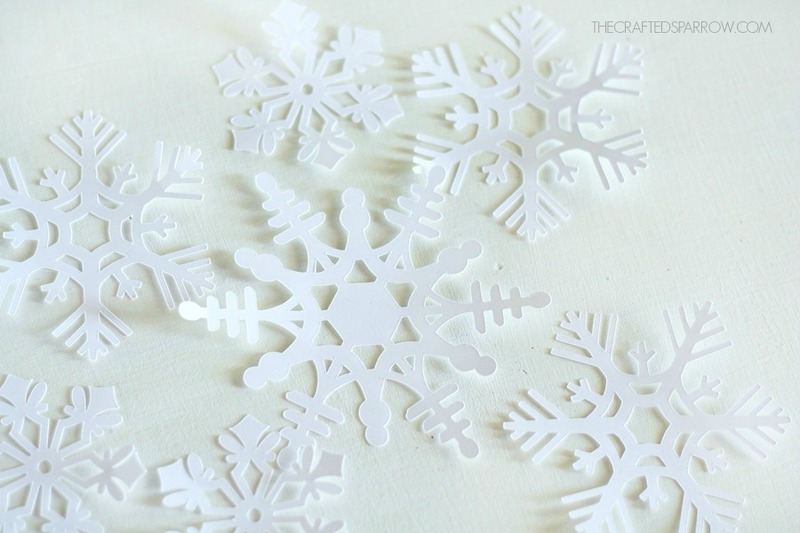 If you don’t have the Cricut Explore cutting machine don’t worry, you can print and cut snowflakes by hand – or do the old-fashioned snowflakes with paper and scissors. 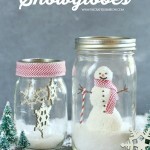 This would be a fun project for the kids to create too, just assist them when it comes to the gluing. 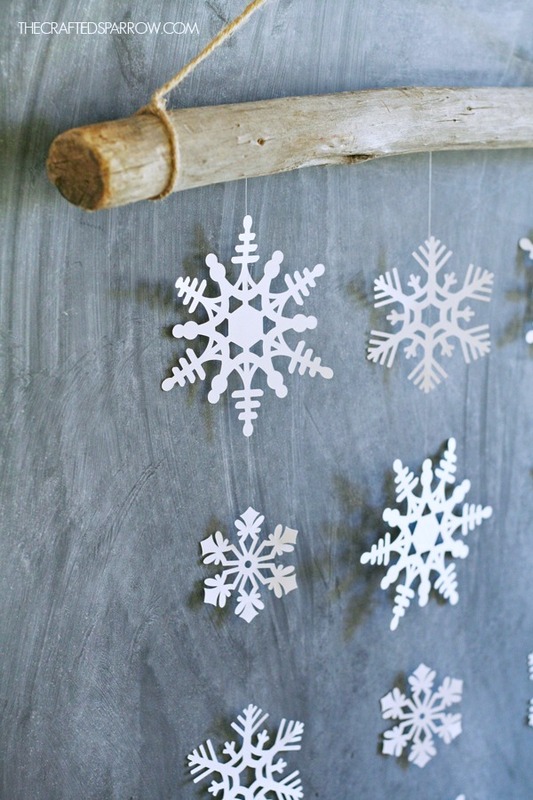 Now be sure to check out the rest of these awesome Snowflake ideas. REALLY cute, Bec! Wow, LOVE it so much!! Thanks girls. I LOVE you both so much!!! 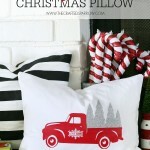 So pretty – love this idea! I’ve got some old driftwood that work perfect for this. What a great and gorgeous idea! 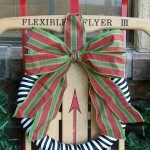 And I love that it could be hung up now and kept up even until February when we still have snow around here! LOVE it! Thanks Jo-Anna. I know a lot of people do a winter mantle after Christmas so it would be perfect. 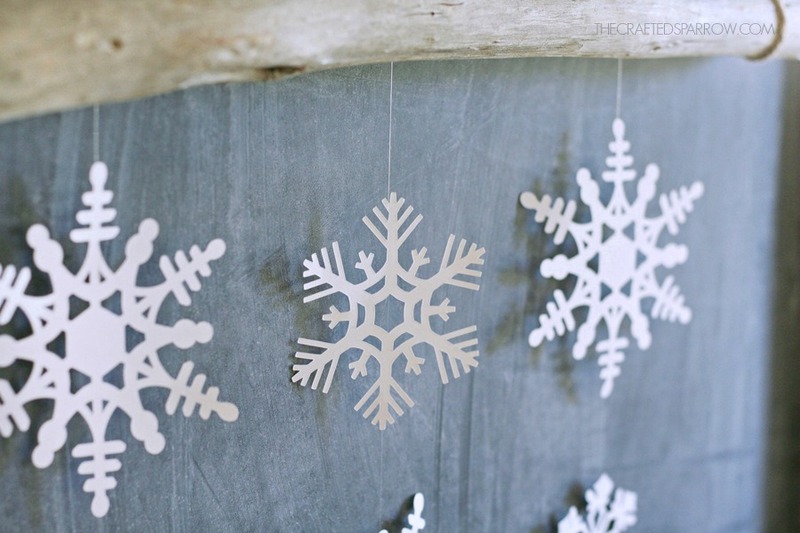 Hi – first time I’ve seen your site and I love the simplicity of the snowflake hanging. Our house is full of shabby-chic projects and we always use a load of branches at Christmas, Easter, Halloween… (whenever we have an excuse really!) so this will definitely be one to try. Thanks for stopping by Dawn, hope you have a super awesome week. Thanks Kyla. I will be sure to stop by, have a super week. Very cute idea! I love the way it looks. 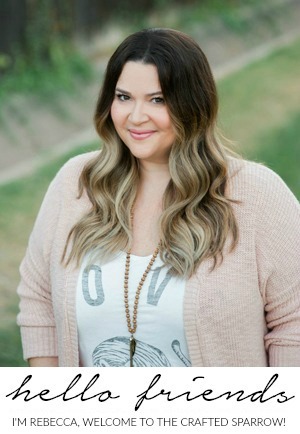 I found this on Martha Stewart’s Pinterest board! Thanks so much Liz! And what? Martha Stewarts board? That’s awesome, I will have to go take a peek! Thanks for the heads up, hope you have a very blessed and Merry Christmas!